In rare scenario, the length of the choli/lehenga and sleeves can be altered, if the design permits. The fit, silhouette and length will match the dress shown in the reference photograph. 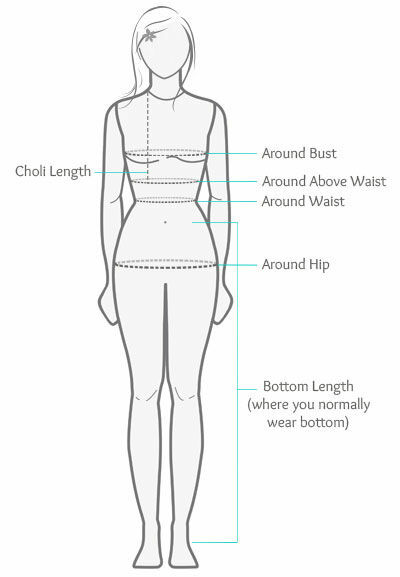 For specific garment dimensions, please refer the Size Chart. In case you prefer Custom Stitching, please utilize our Made to Measure (UDesign) Services.